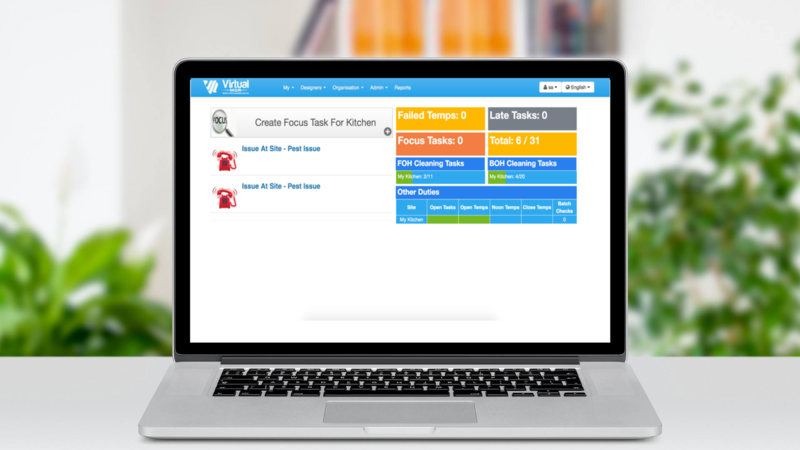 As kitchens move throughout their work day, the FoodSafe system is updated in Real-Time providing management with insights into the operations of their workforce. The Management dashboard provides insight into completed checks and cleaning tasks, late tasks and failed checks and follow ups associated with the failure. Notifications can be generated at any given time throughout the system to increase visibility of actions throughout a kitchens work day. Notifications can be sent by email or SMS to the appropriate authority to notify late checks and/or failed checks.